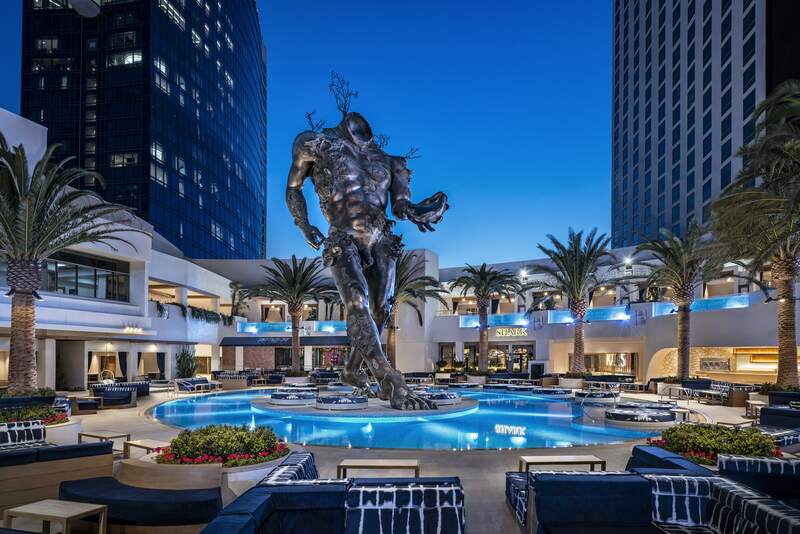 After undergoing a multi-million-dollar renovation, the new and improved Palms Casino Resort once again brings new meaning to the world of luxury in Las Vegas. Damien Hirst's "Demon with Bowl" (2014) looms over the pool at KAOS. When Palms Casino Resort first opened in 2001 to much fanfare, it quickly became a hot spot for celebrities and high rollers alike to see and be seen. And like the celebrities who frequented the resort, the Palms became a household name: from reality TV (think 2002’s Real World: Las Vegas) to sports and entertainment (think UFC and MTV’s Video Music Awards). The resort was even featured in iconic music videos from some of the world’s most recognized voices—from Britney Spears to Eminem to Katy Perry, it seemed everyone wanted a piece of the Palms. 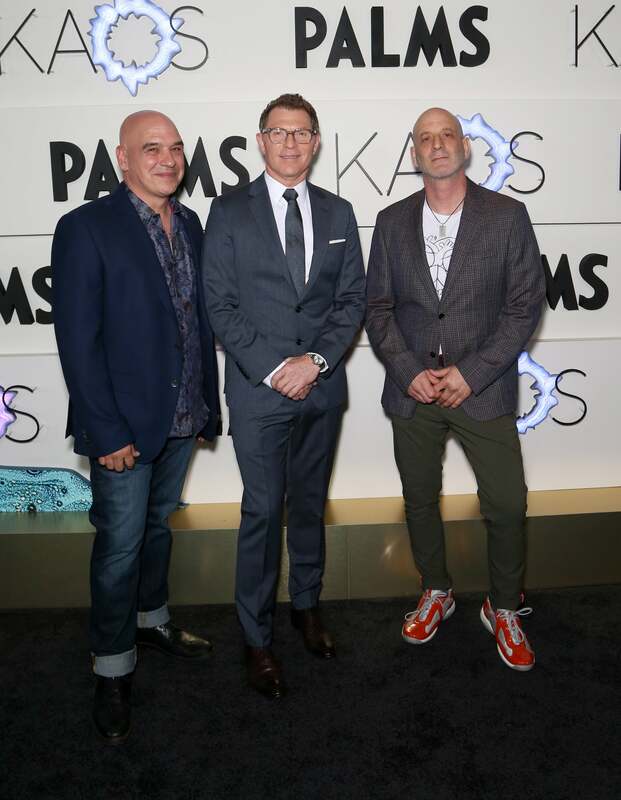 Following several phases of a $690 million renovation, this month the Palms celebrated its big return to the forefront of Vegas resorts with a star-studded grand opening event and the highly-anticipated launch of the new dayclub and nightclub, KAOS, which should quickly join the ranks of the hottest spots in Sin City. 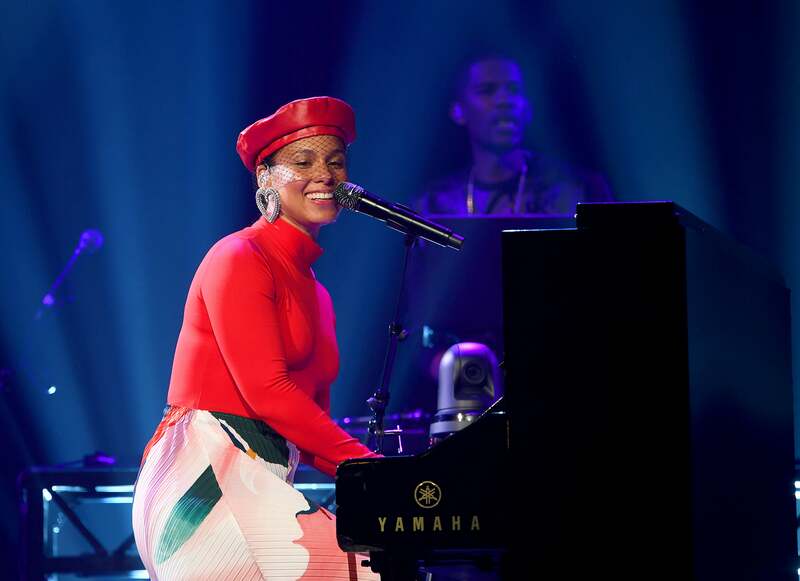 Alicia Keys performed at Pearl Theater. But the new Palms is more than just a party—there’s luxury at every turn: Five-star dining, world-class entertainment, an Insta-worthy art collection and jaw-dropping views make the Palms a must-visit destination. Dining options are aplenty. For the most luxurious of experiences, there’s Bobby Flay’s Shark, with a fine and extensive seafood selection, or Vetri Cucina, Marc Vetri’s first expansion of his beloved Philadelphia flagship, which is nestled on the 56th floor and offers unparalleled views of the city. Both chefs were on hand for the grand opening weekend, proud to show off the fruits of their labor. For more of a “party scene,” there’s Greene St. Kitchen, a paean to ‘80s SoHo, NY. Hidden behind a secret door located in a retro arcade room (get those Instagram feeds ready! ), the restaurant features impressive art and an even more impressive menu. Michael Symon, Bobby Flay and Marc Vetri celebrated their on-site restaurants. Post-dinner cocktails don’t disappoint either. The luxurious Mr. COCO offers an intimate and sophisticated lounge feel, with delicious cocktails and light bites. And for the late-night crowd, APEX Social Club boasts killer views and even more killer art. And about the art—there’s much of it to see! While APEX features works from Dustin Yellin and a Warhol piece greets you upon entry at Vetri Cucina, the real pièce de résistance is “Demon with Bowl,” the 65-foot bronze Damien Hirst sculpture that looms over the pool at KAOS. It’s a bold statement piece for a bold new Palms. The collaboration with Hirst doesn’t end there, however. While themed suites have always been a part of the Palms offering (again, back in the day, the Real World Suite was a hot ticket! ), The Empathy Suite takes sky-high living to brand new heights. Designed by Hirst, this Sky Villa is one of the world’s most expensive hotel accommodations ($200k for two nights! ), and features original Hirst artworks. It’s over-the-top in the most Vegas way! Cardi B and G-Eazy performing at KAOS nightclub. But nothing is more over-the-top than the entertainment. The state of the art Pearl Theater provides a truly intimate concert experience. Alicia Keys performed during the grand opening weekend and wowed the crowd by belting out some of her biggest hits. But KAOS is where the magic really happens. The fully-integrated space includes a 73,000-square-foot dayclub and 29,000-square-foot nightclub, and will be home to a number of high-profile residencies. 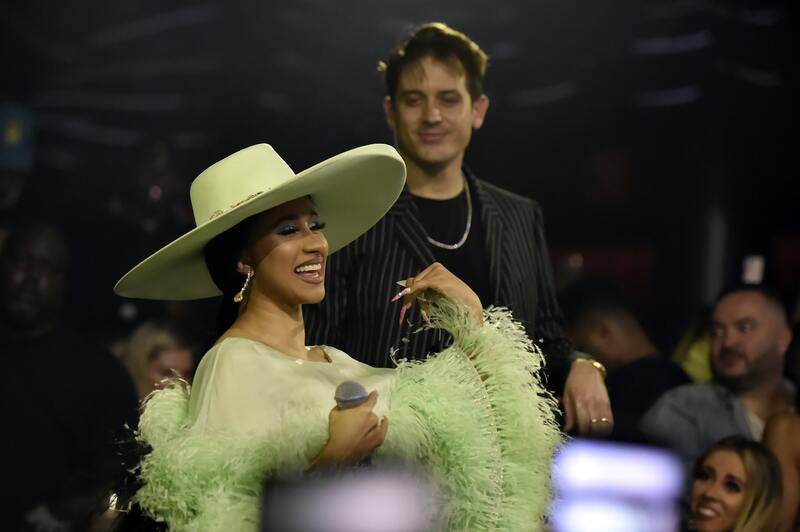 G-Eazy, Cardi B, Marshmello and Skrillex were all on hand to perform, teasing their upcoming residencies, which are bound to have the masses flocking to the Palms.